The time to start with welding and production automation is now. World’s best welding and production automation. PEMA welding and production automation solutions offer you more output and uniform quality with different welding methods (TIG, MAG, laser, hybrid, etc.). By rethinking your production capabilities from productive point of view, gives you better position in welding and cutting markets. When working with heavy and complex shape work-pieces, safety and optimal production capacity are always at stake. 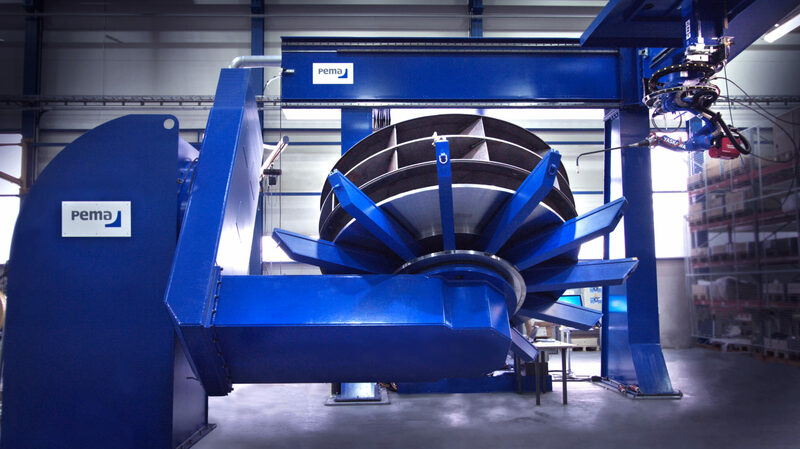 Pemamek’s automated welding and production solutions are designed by the field’s leading experts to provide the highest safety and efficient welding at work. Each PEMA solution can be integrated into our advanced PEMA control systems enabling you to maximize your capacity and take the lead in your business. We welcome You to Make More. Welding positioners, Column & Booms, roller beds and robotic welding solutions for heavy and complex work pieces. Automated welding and production solutions for onshore and offshore needs: plate, jacket and shell/section fabrication. Automated welding and production solutions for shipbuilding: profile and plate fabrication, panel lines, open block panel lines, pipe and T-beam welding lines. Production solutions for dish-end and pressure vessel fabrication. Also customized fabrication solutions. From project management to machine life-cycle support.